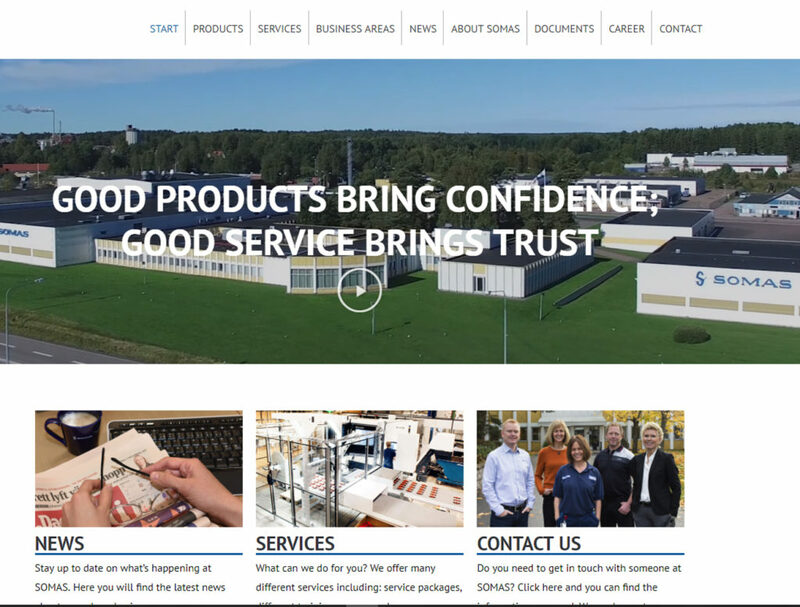 During the fall of 2017 we started working on a completely new version of the SOMAS website. We are happy to report that the site is now officially launched! The site has received a complete visual and structural overhaul; however it still contains everything that can be of use. You can find out more about our products, what business areas we are currently represented in and how our products are used within them and much more. In 2018 we also plan to convert our Application Handbook from its traditional PDF-format to HTML-format which means that it can be opened directly in your web browser without the need for you to download it at all. As an added bonus this new website is fully compatible with mobile devices. This means that you can keep up with our company practically whenever and wherever you want! Welcome to the new and improved Somas.se!